Do you want to lose weight, feel better and achieve optimal health, but seem to keep falling on your face every time you try? My guess is that you’ve either answered yes to one of these questions or you simply just want to lose weight which is why you’ve arrived at this website in the first place. I’m also willing to bet you may have come across a website or product that may seem a little similar to this at some point which claimed to be the “miracle” program. They accidently stumbled across or discovered the only resource that you ever need to get in shape and get healthy. Is that fair to assume? If it doesn’t, then turn on your TV around 2 a.m. on any given weeknight and you’ll be exposed to a barrage of infomercials aimed at coercing you into believing that same story that every weight loss giant…..has been using to victimize people for decades. But Make No Mistake, What You Are About To Be Exposed To Here Is Unlike Anything You’ve Ever Seen, Heard Or Experienced Before! My name is Paul Mascetta and I have been in the fitness industry for over ten years. Other than working for myself, selling fitness is the only type of “job” that I’ve been interested in and the reason why is simple; everyone needs it. And the only way that you can do so is through living a life centered around fitness. But why I chose to get into fitness really doesn’t matter. What does matter is what I learned along the way about the diet and weight loss industry. You see, being in the industry for more than a decade enables you to see a lot of things; and I have seen just about everything (including the stuff that “they” don’t want me to open my mouth about…. more on that in a moment). I’ve seen people lose hundreds of pounds and keep it off forever. I’ve seen others lose even more weight and gain it all back. And I’ve even seen people lose a little bit of weight and then gain back twice or even three times the amount that they lost, only to wind up even more unhealthy and depressed than they were to begin with. That’s the question that everyone wants answered. And it’s actually quite simple. First, the process of changing your body or state of health must begin from within. If it does not, you are doomed from the start. In other words, you cannot look to external sources to do the work for you. External sources can only be used to leverage what starts from within. Secondly, those external sources have to be accurate because if they’re not, you’ll be investing all of your time and energy in resources that can’t help you. Now, what I just shared with you (as simple as it sounds) is the real key to achieving any goal related to fitness. Realize this: Simple economics states that when there is a high supply for something and little demand, that something has little worth. Conversely, when there is a high demand and little supply, the worth then increases drastically. The weight loss and diet industry is as big as it’s ever been today. In fact, it’s even bigger which means more and more people are turning to products aimed at either getting them to lose weight or simply to help them get healthier. That’s what we call a high demand. Ironically however, the rate of obesity is higher than it’s ever been as well. And it’s not getting any better. This demand translates into billions of dollars for the weight loss industry. In fact, the more obesity levels climb the more money they stand to make. Now if theoretically, one of these so called “miracle products” were to actually work in the magical way that they claim to, what would happen? Well, everyone would lose weight and get in shape. Then there would be an even bigger demand for the product….until more and more people get into shape. Then the demand would begin to decrease and the worth of the product would go down. So the only way to capitalize off of the demand would be to decrease the supply. But that would only lead to less opportunity for the product manufactures to make money. Therefore, The Only Way To Keep The Cycle Going Is To Keep The Demand High Without Really Providing Results! To do this they create products that either don’t work or provide short lived results. I know it may sound crazy, but often times, the truth is difficult to hear. And the big wigs sitting in the corporate offices of these companies at their mahogany desks planning their weekend getaways know this tactic all too well. It’s the tactic that has made them, along with every other weight loss product manufacturer, rich. And it’s the same tactic that has been proven to work over and over again without fail. They then give the marketing team the task of making the product appealing to the consumer. And the marketing teams are experts at just that. Because they know what every great marketer, persuader, sales expert or person of great influence knows…that people don’t buy things based on logic; they do it based on emotion. Why Else Would Billions Of People Around The World Continue To Still Shell Out Money Hand Over Fist For Products That Claim To Be The Only Weight Loss Resource They Will Ever Need When We All Have Yet To See Such A Thing Because We Know It Doesn’t Exist? It’s because of our emotions. After all, if you want that beach body and you see someone who looked like you at one point and now has that beach body, you’re going to make that purchase no matter what. Can you honestly say that you have never fallen into this trap? Don’t worry. We all have, including me. It wasn’t until I actually began working in fitness clubs that I saw for myself what really works. It’s called exercise and eating the right foods. The problem is while it may sound simple, people all over the world struggle with this concept. And the reason is because they are falling short in one or both of the principles that I mentioned earlier, which is beginning the fitness journey from within or using the wrong forms of leverage. In either case, the result will be failure. And That’s What The Diet And Weight Loss Big Wigs (Health Sharks As I Like To Call Them) Are Eagerly Awaiting Because They Know Once You Fail At The Eating Right And Exercising Part, You’ll Be Coming Right Back To Them For Help! And they’ll be right there with their hands out, ready to take your money once again. Unless of course, you take action and separate yourself from the rest of the vulnerable people who fall for these schemes and instead begin to equip yourself with an effective method of beginning your journey internally and getting your hands on the right information. So let’s talk about both of those concepts. The first one, beginning the journey from within or internally, starts with your mind; specifically your subconscious mind. And the reason for this is simple; the subconscious mind ultimately controls every action you will take. That means that you can read every book, watch every video and participate in every exercise program, but you will still not experience results because you have been wired to fail by not programming your subconscious mind. This is why people continue to engage in negative behaviors like smoking even though they know it is extremely hazardous to their health. Regardless of how conscious they are of the negative impact that their behaviors bring forth, they still continue to engage in them because subconsciously their belief system says otherwise. So the key here is to rebuild the entire belief system on a subconscious level to enable the person to think and behave in a way that is conducive to living a healthy lifestyle. Now I have read just about every single book, watched every DVD, listened to every audio program and attended countless seminars on rebuilding belief systems and what I can tell you from my experience is that all of them pale very much in comparison to the power of hypnotic influence. Hypnosis is by far the most effective method that anyone can use to rewire themselves subconsciously. And the reason why is because hypnosis itself occurs on a subconscious level. Essentially, one can only effectively reach the subconscious mind when they are in what is known as the alpha state, which is really nothing more than an extremely relaxed state of mind where they are able to accept the messages that are then implanted. When it comes to hypnosis, there is (in my opinion) no one more qualified, experienced or capable than Steve G. Jones, Clinical Hypnotherapist. If you need a reason why I believe this, I can give you several. First of all, Steve has been practicing hypnotherapy for over 25 years. The author of 22 books on Hypnotherapy. Director of the Steve G. Jones School of Clinical Hypnotherapy. A member of the International Registry of Professional Hypnotists. He is also the creator of over 4,000 hypnosis recordings (more than any one person in History and the largest library of hypnotherapy recordings in the World). Steve was also listed in "Who's Who Among Students in American Universities and Colleges" because of his ability to maintain a 4.0 Grade Point Average while working on his Master's Degree. He is a recipient of the President's Award for exemplifying outstanding contributions to the AAACE (American Association for Adult and Continuing Education). This in a nutshell, is what qualifies Steve G. Jones to be a master hypnotist capable of helping anyone achieve positive and lasting change through the power of hypnosis. Simply put, Steve has the ability to help you begin the fitness journey from within you by effectively rewiring your subconscious to help you think and act in away that is conducive to living a healthy lifestyle. And that’s why I have sent countless people to him over the years to help them achieve their fitness goals. You see, I’ve seen the cycle too many times where a person makes the decision to take back their life, get in shape and regain their health, only to wind up eventually failing miserably. And the minute I sense that this is the type of person I have in front of me, I automatically refer them to Steve because I know that if they do not begin the journey internally, they will eventually give up; it’s inevitable. We as human beings cannot act in a way that is different from our beliefs for too long. When we do, it causes something called Cognitive Dissonance within us and eventually we must conform to what we believe inside or we will experience extreme discomfort. Hypnosis is the method in which you prevent the cognitive dissonance from restructuring the belief system. But that’s only half of the problem. Because once you change your beliefs, you need access to the information that actually works. In other words, if you change your beliefs, begin exercising and eating healthy, you need to ensure that you are doing the right kind of exercise and eating the right kinds of foods. And as I said earlier, with all the “health sharks” eagerly awaiting to fill your mind with information that either will not work or could be down right hazardous to your health, it’s important that you do your research and get your hands on the information that will help you. But let’s face the facts. The average person does not have enough time to start researching diet and exercise plans. Most people simply just have way too much on their plate as it is to find the time to scrutinize every single thing they eat or how they exercise. And even if they could find the time, how would they ever know that they were using a trusted source for their information? After all, every “health shark” out there is claiming to be a trusted source but in reality all they care about is getting rich. So who can you really trust? Well, when it comes to health, I generally don’t trust anyone who claims to be an expert. Instead, I would rather seek help from someone more like an advocate; specifically a consumer health advocate. I look for someone who has my best interest at heart. Frank Mangano is someone who, in my opinion, demonstrates these characteristics better than just about anyone else I can think of. Frank’s mission began a few years back when his mother was diagnosed with high cholesterol and told by doctors that here only solution was to be put on prescription medication with dangerous side effects for the rest of her life. Determined to find a better way, Frank hit the books, the websites, the seminars, the medical journals, the libraries, the study halls and just about anything else he could find to help his mom lower her cholesterol naturally. Not only did he achieve his goal, but he developed a system that could enable anyone to lower their cholesterol safely and naturally without one ounce of prescription medication in 60 days or less. 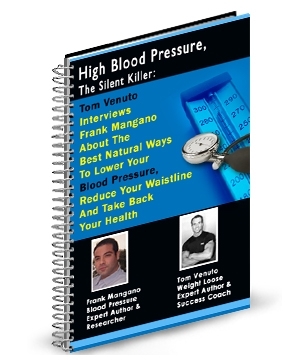 Since then, Frank has went on to author four books including The Blood Pressure Miracle, The Mind Killer Defense and most recently You Can Attract It which he co-authored with Steve G. Jones. In You Can Attract It, Steve and Frank disclosed their patented formula for attracting success into their lives using the Law of Attraction. Using this powerful principle, Steve and Frank have attracted everything they have ever desired into their lives including the ability to achieve finical freedom while doing what they are both passionate about. Frank currently owns and operates the Mangano Publishing Corporation out of New York City with the primary objective of delivering the most up to date, accurate and comprehensive information pertaining to natural health at the lowest price possible (if at any price at all). Steve currently continues to run a seven figure a year hypnosis business while traveling the world to give seminars and work on a personal level with clients ranging from everyday people to high profile celebrities. Steve has also made numerous appearances on TV channels like TruTv, CNN and Fox news. What makes these accomplishments so great is not necessarily the dollar amount or recognition that comes with them but rather how both Frank and Steve went from being dead broke with nothing but some good old fashioned passion to their names to where they are today. And they owe it all to mastering the Law Of Attraction. The Law Of Attraction is at work 24 hours a day seven days a week. People are attracting things into their lives every single moment of every single day; sometimes without even realizing it. In fact, in many cases people are actually attracting the things that they don’t want. The reason this happens again goes back to the subconscious mind and how it is wired. If your belief system is built on the premise of attracting something, you will always manifest it into your life whether you want to or not. Both Steve and Frank have solved this and many other problems by developing an easy to understand, simple to use and effective formula for manifestation using the Law Of Attraction. And now they are ready to share with you, there formula for using the Law Of Attraction to attract weight loss, happiness and optimal health into your life. First, you’ll gain access to the patented hypnosis techniques by world renowned hypnotist Steve G. Jones, so that you can reprogram your subconscious mind to operate in alignment with your new life style. Then, you’ll gain access to the years of deep research conducted by consumer health advocate Frank Mangano and his team so that you know what foods and resources you should really be turning to once your mind set has changed. Then you will discover the same formula that Steve and Frank have used to attract everything they desire into their lives, so you can attract the body, mind and level of health that you so rightly deserve but have yet to experience. 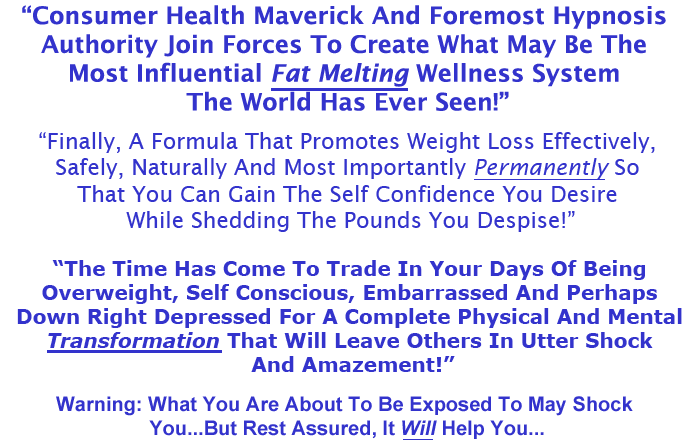 Let’s take at what will be revealed in the 250 plus pages in this amazing e-book and more importantly how it will change your life forever. The Key To Hypnosis And Weight Loss - Here Steve will take you step by step through ha hypnosis session dedicated to weight loss and the astounding effect it will have on your subconscious. The Six Steps of You Can Attract It! – Discover the simple yet powerful 6 step process that Steve and Frank have used to enrich their lives and taught others to do the very same. Creating The Filter – Here you’ll be exposed to a simple process that will enable you to better control what goes into your stomach. Developing Confidence – Here you’ll discover the key to building and maintaining confidence which essential to both the attraction process and your overall quality of life. Food Choices And Vibration Energy – Learn 5 simple questions that you can ask yourself that will better direct you to the foods that will enhance your vibrational energy (a key component to LOA). Destroying The Patterns OF Binge Eating – Here you’ll be exposed to an in depth, step by step process to avoid binge eating (you may not even realize you are engaging in this destructive eating behavior). The Key To Consistency In Exercise – Here you’ll learn why most people fall of track when it comes to exercise and what to do about it so you don’t fall into the same trap. You’ll also learn about some very non-traditional and exciting forms of exercise. Motion Creates Emotion – Discover the MCM principle and the profound effect it will have on your state of health. 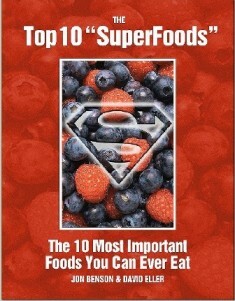 10 Best Superfoods - Here Frank will tell you the top 10 foods that no human being should ever be without, how they will transform your state of health almost instantly and give you 5 different ways to get each of them into your diet easily. 10 Foods You Should Never Consume Again – Knowing what to avoid is just as important as knowing what to take in. Here Frank will tell you about the devastating effects of some foods that many people consume on a daily basis! One of the most popular of these poisons can even be used to clean toilets effectively. Eating Right Vs. The Right Kind Of Eating – Here you’ll learn how to completely change the paradigm through which you see food forever using the effective 12 step process that Frank and Steve have created. Plus an arsenal of over 50 delicious healthy recipes using some of most powerful foods on the planet!! How that is for a detailed blue print of everything you will ever need to achieve all of your weight loss and health goals? Can you understand how and why what you see before you is differ than anything else I the world? One Time Payment of Just $29.97! 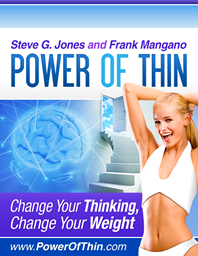 Steve G. Jones and Frank Mangano aren’t self proclaimed “weight loss experts” trying to bamboozle you into buying a product that they know won’t work in an attempt to have you running back to them for more information like a starved kitten. These are the guys who spend their entire lives doing the research that the rest of us just aren’t equipped to do and bringing us a simple yet effective way to apply everything that they discover. That alone is why anyone interested in losing weight and getting in shape should own this book right now. Simply put, there are no gimmicks here; just the raw data and how to use it to your advanced. So let me ask you, are you ready to use it to your advantage? Are you ready to take control over your body and health an no longer be a subject of profit for the trap setting health sharks who are preying on your ability to fail every day? After Seeing What Is Being Offered Here, I Can’t Think Of Any Reason Why Anyone In Their Right Mind Would Not Want Access To This Information! After all it is (as cliché as it may sound) life changing. And the reason that I say that is because the world has yet to see a formula for weight loss like this ever before. Therefore, whoever applies it will experience true lasting change in their lives. That’s probably the question that you are asking yourself right now; understandably so. Well truth be told, when Frank and Steve first brought this concept of synergistically combining both of their unique brands of talent and passion together using the principles of the Law Of Attraction to help people lose weight and regain their health, their marketing teams went bananas. They couldn’t wait to begin promoting it and bringing it to the public because they knew it would sell like crazy. They also felt that they could almost name their price for the book because no one else had ever anything even remotely close to this before. In other words, they were licking their chops awaiting the big pay day. And that’s fine because that’s what marketers do. To them, the bigger the pay day, the better their job was done. Frank and Steve however had other plans. Concerned more about how many people they could reach with this information rather than the big pay day, Frank and Steve decided they wanted to make this information as affordable as humanly possible. So here’s what they did. After months of research and testing, the marketing teams decided they would offer the Power Of Thin E-Book to the public for $39. And quite honestly, even at that rate it’s an incredible value because you really can’t put a price on your health or the way that you feel. But Steve and Frank wanted to do more than just provide a great value. They really wanted people to be able to walk away from purchasing the Power Of Thin E-Book feeling so good about the money they saved that they would run and tell at least 10 friends. And so that’s why (against the advice of their marketing teams) they have decided to offer the public the unique opportunity to own the Power Of Thin E-Book today for the just 10 percent of its estimated value. In other words, you can purchase it today for just $29.97! That’s right, for less than what most people pay on one bottle of fat loss pills or some magic drink that we all know doesn’t work, you can gain access to all of the information you will ever need to achieve your weight loss goals from two guys you can actually trust. Audio 1: Achieve Weight Loss! Audio 2: Stop Binge Eating! Audio 3: I Love To Exercise! Audio 4: Achieve Unlimited Motivation! Audio 5: Achieve Unlimited Confidence! An All-Natural Approach To Lose Weight Naturally"
Super Foods - A 14 page PDF e-book, which details the Top 10 most important foods you can ever eat! By Fitness Expert Jon Benson and David Eller. Author's: Frank Mangano and Tom Venuto"
"How Weight Loss Supplements Can Land You In The Emergency Room! Not only are weight loss supplements useless but they can also be extremely dangerous. This special report will reveal exactly why you should avoid these toxic substances. "How How Artificial Sweeteners Will Make You Fat! Did you think artificial sweeteners will help your weight loss efforts? Think again! This special report reveals everything you ever wanted to know about artificial sweeteners and why you should avoid them like the plague. 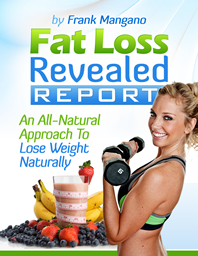 "The Miracle Supplement For Weight loss And Optimum Health! In this special report, you'll discover the most important yet often overlooked miracle supplement that plays an enormous role in weight loss and optimum health. And as if you didn’t have enough reasons to take action right now, Steve and Frank want to give you one more. 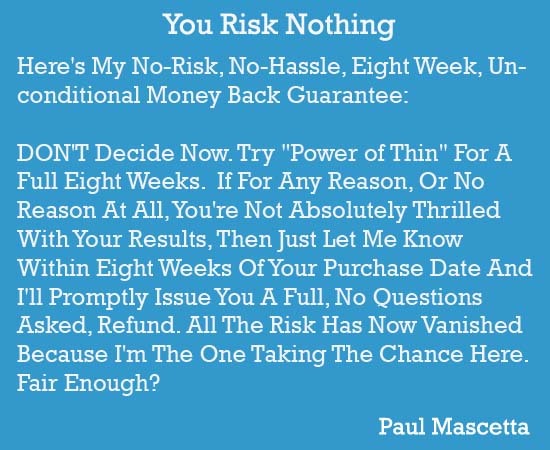 They want to give you the opportunity to try the Power Of Thin E-Book absolutely risk free for a full 8 weeks. So let me ask you once again; are you ready to take charge of your health, your weight and ultimately your life? Because if you are, Steve and Frank can help you. And right now, they can help you for an amazingly low price; practically a giveaway. Don’t wait any longer, realize the Power Of Thin! P.S. – This is the ONLY weight loss resource available created by consumer health advocate Frank Mangano and leading hypnosis authority Steve G. Jones using the same formula they brought to the world in their bestselling book, You Can Attract It so don’t fall for cheap imitations. P.P.S. – Remember, you have nothing to lose except the unwanted pounds because if you feel for any reason that this program did not live up to it’s claims, Steve and Frank will buy it back from you. Don’t wait any longer; get started today!